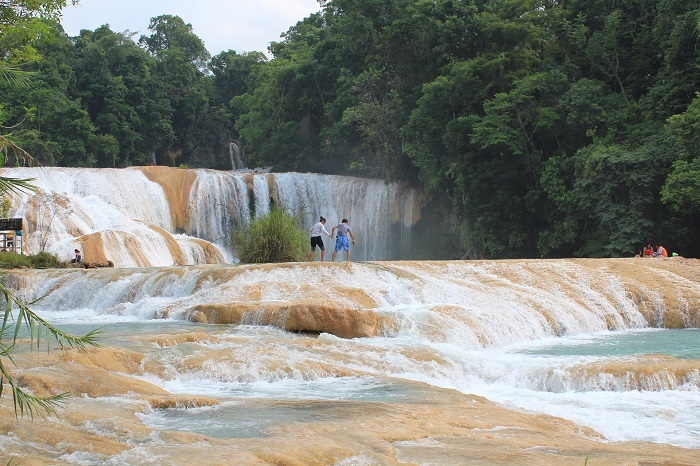 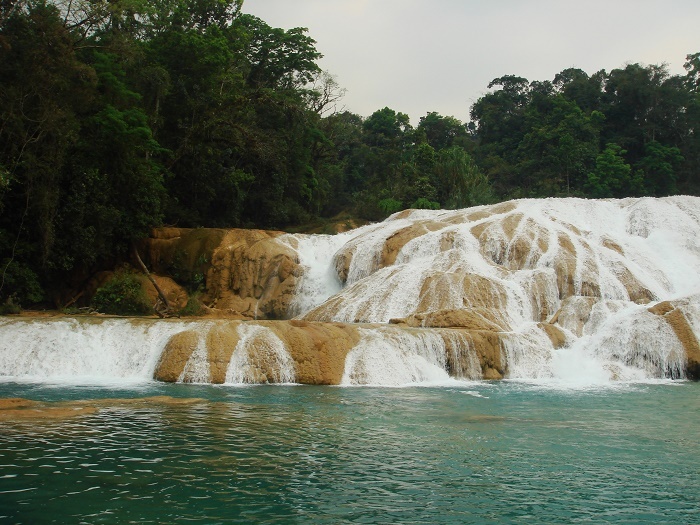 The Agua Azul Waterfalls, also known as Cascadas de Agua Azul, are impressive cascading waterfalls and shallow pools that are located in the State of Chiapas, within the United Mexican States. 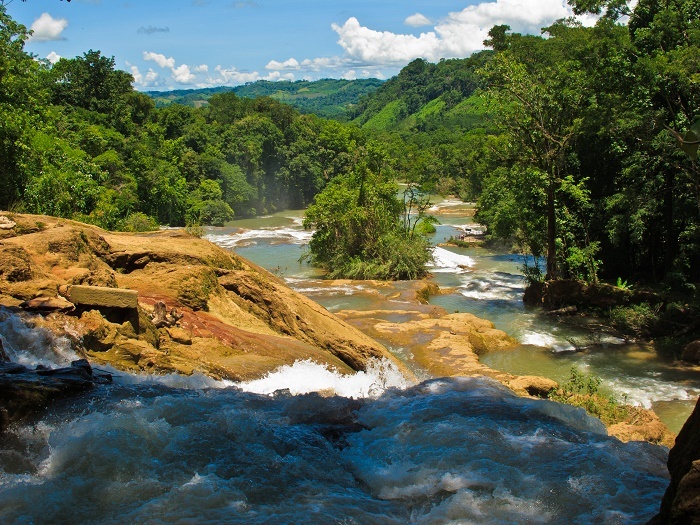 Part of the Municipality of Tumbalá in Southern Mexico, originating in the confluence of the Agua Azul River, Shumula, Grijalva and Tulijá rivers, they are consisted of several cataracts which are following one another with the longest drop being at 6 meters (20 feet) height. 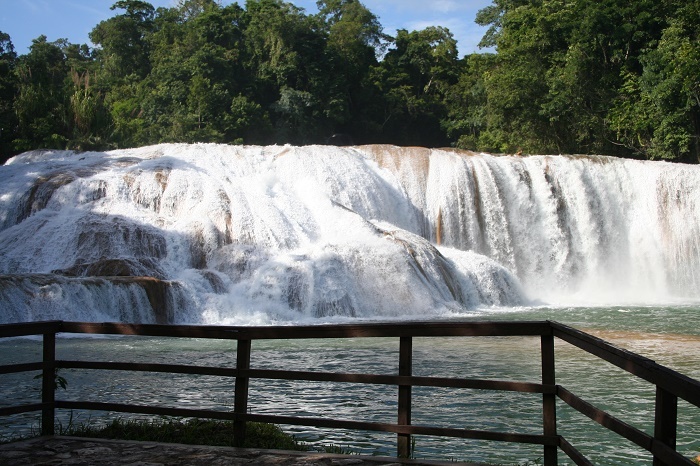 The water color is something special to be seen, since it has a gorgeous turquoise water due to the high mineral content, and in the pools where the waterfalls are ending, when cascading it gives the impression of snowy-white textile covering the limestone from which they are created. 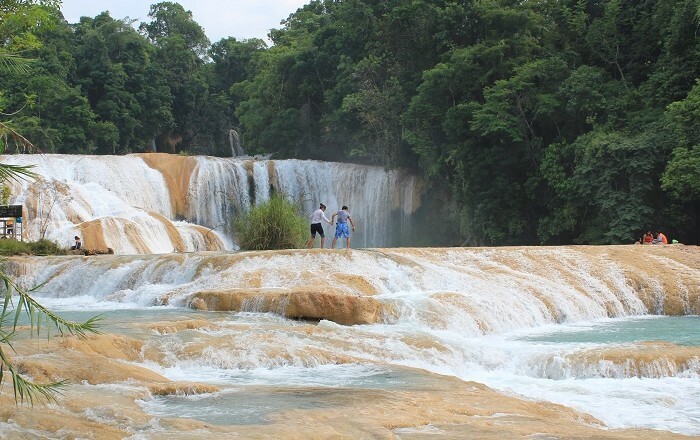 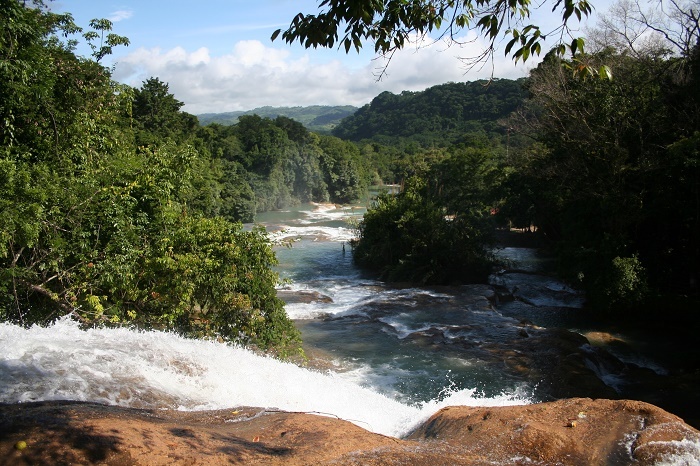 Being part of the Blue Water Biosphere of Southern Chiapas, this beautiful, yet treacherous waterfalls, are rushing a long distance across jungle valleys and canyons creating a world of precious beauty which captures with ease the heart and eye of every visitor who dares to visit them. 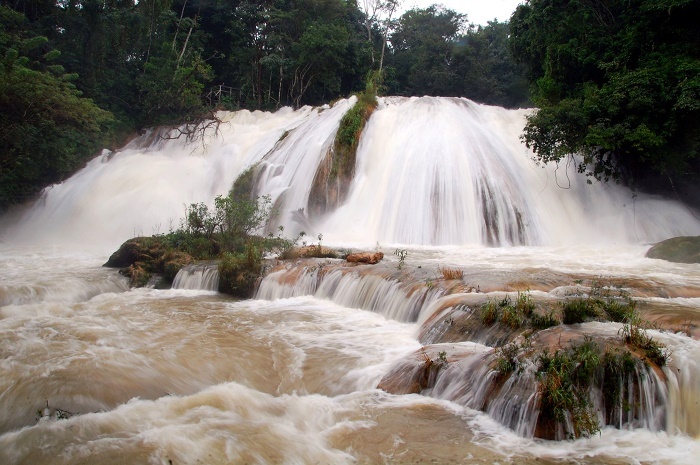 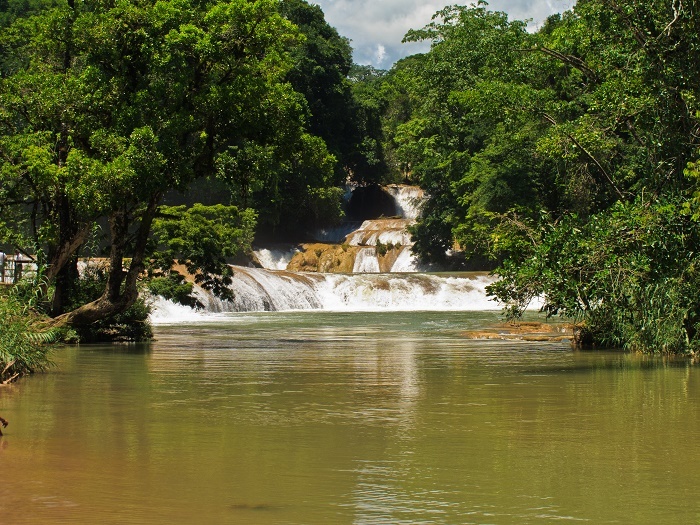 Even though there are number of large and small falls, the largest one is called Misol-Há. 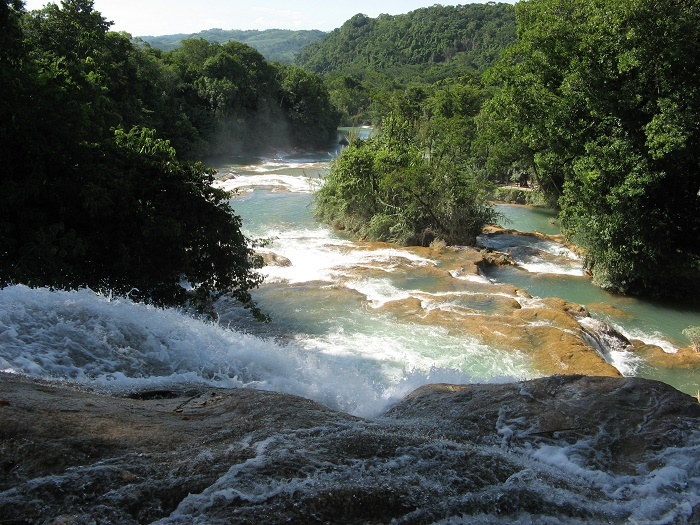 Sheltering also a wide variety of flora and fauna, it is the perfect place not just for the locals who are most of the time sunbathing near the waterfalls and swimming in the pools, but also for those tourists who are seeking for an adventure and also who are ready for some rafting and diving in the water below the waterfalls. 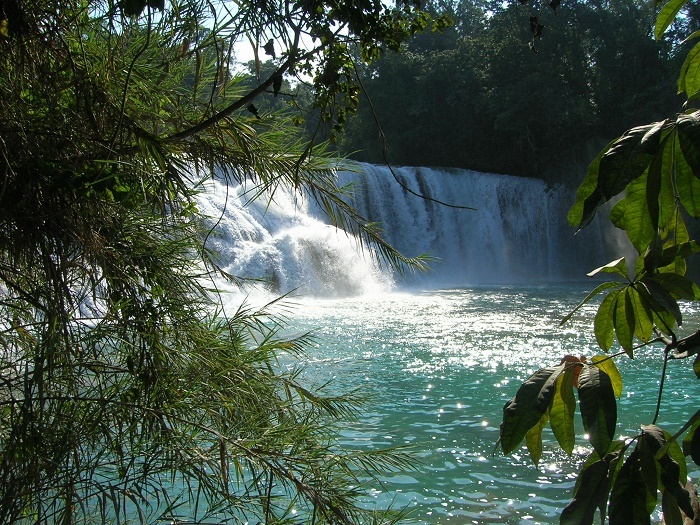 If it does not look like one would be that much adventurous, then the other option for pure enjoyment is to find a camping spot in the rich parkland near the alluring waterfalls, and get as much pleasure the nature could give, nonetheless it is the perfect paradise as well for the birdwatchers, painters and photographers. 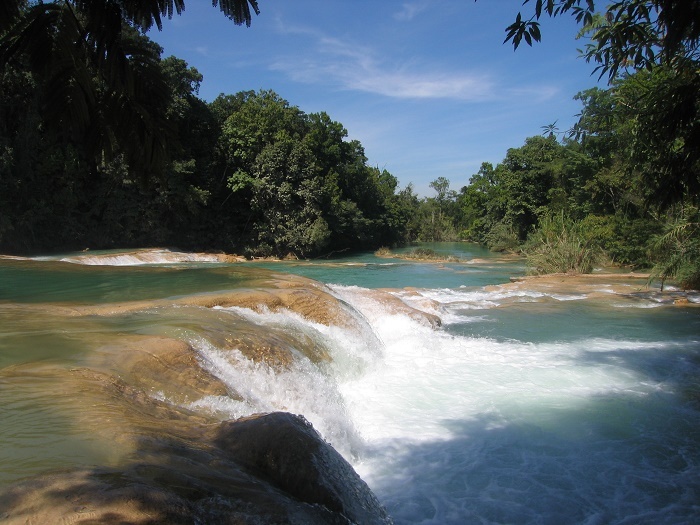 Still, if swimming in the pools, one should do it with caution because there are trees in the water which could not be seen, and also the locals sometime are stealing the valuables to those coming there.